Many of us are interested in learning a new language but few of us have the time or money to fly to a different country and immerse ourselves in the language and culture. A language such as Korean is widely spoken around the world with a culture which is growing across North America and Europe thanks to the widespread appreciation of K-Pop and the film and TV productions of the nation. Over 80 million people around the world are estimated to speak the langue but this does not always help when questioning how can you learn Korean? You may be wondering how to learn like a Korean? This is not the question to ask because a native Korean speaker has been immersed in the language throughout their life making it easier for them to speak fluently. If Korean is not your native tongue, the best question to ask is how to learn Korean online? There are few opportunities to learn this language in person as there are few classes to be found in high school, college, or in most areas outside Korea where the language is taught one-on-one. When you have answered the question, what is the best way to learn Korean online? You may find yourself looking to make a study plan to make sure you have the opportunity to learn in the fastest and simplest way. Firstly, the best way to learn Korean online is to create a study plan and stick to it by making a schedule of times when you are going to complete lessons found online and study the words and phrases you have learned. This study plan can include a range of different options including setting aside an hour per night to study or to watch a favorite Korean TV show streamed through a TV and movie provider. 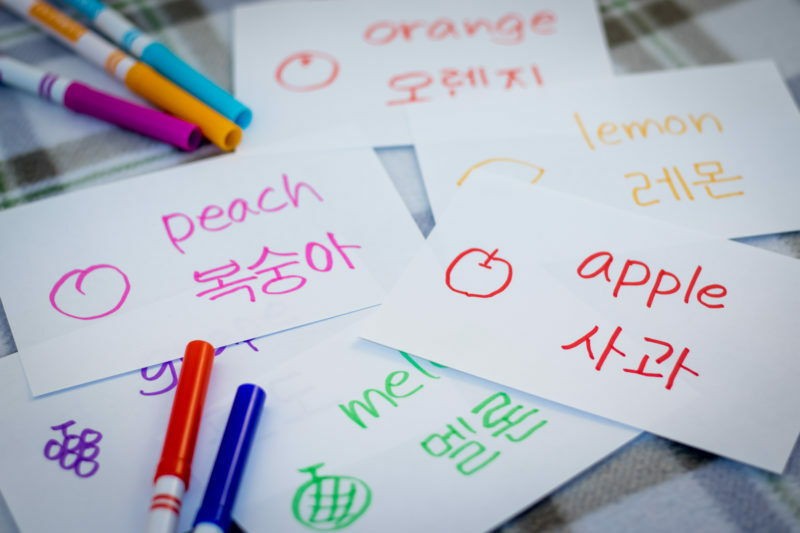 Once you have found where to learn Korean online you may wish to use a notebook or a tablet to record the different words, letters, and numbers which may trip you up along the way to achieving your goal of becoming a fluent speaker of Korean. Many learners report experiencing problems with the Korean alphabet, Hangul and benefit from writing down the issues they are having. In much the same way as writing down the intricate aspects of the Korean language, the chance to experience speaking to a Korean-speaker in real life should not be underestimated. Those learners questioning how to learn like a Korean should set out to interact fully in the language by spending some time within the community of speakers of the language on a regular basis. Where to learn Korean online? This is a difficult question to answer as a website loved by one student may be loathed by another who does not find the teaching method used as easy to work within as another learner. The number of language learning websites available in the 21st-century is huge and does allow for almost every learner to find and enjoy a course that meets their individual needs. Let’s start at the beginning and suggest you are a complete novice in the Korean language who has little to no knowledge of the letters or structure but simply want to learn the language. How can you learn Korean if you have no basic understanding of the language? The answer is you cannot, which is where Memrise comes in as a perfect starting point for those looking to work on their basic understanding of Hangul and the basics of the language. This site may not be the only answer to how to learn Korean online but it offers a number of courses on the basic functions of the language. For those learners who are looking for a site offering a full range of learning options to build their knowledge of the language from beginner to advanced, FluentU and Korean Class101 are an excellent option. These may be the best way to learn Korean online with ease as the early classes are offered free of charge before paid plans are required to access more complex learning options. Both courses are offered with an emphasis on audio to build vocabulary through practice conversations and guided learning, which can include the chance to move through various learning objectives with ease. In the 21st-century, much is made of the different ways we all learn with FluentU and KoreanClass101 firmly based in language learning through listening. The site, Dom & Hyu is certainly based in the visual learning sector with the real-life Dom an English teacher married to a native Korean speaker living in Korea. The colorful graphics take the form of a comic detailing daily life in Korea and the battles of Dom to learn the language and culture. Reading comprehension is improved with this colorful and effective site which also offers a glimpse into daily life and Korean culture. When you have begun to answer the question, what is the best way to learn Korean online you may be craving a little more of an advanced setting and academic options? The Cyber University of Korea offers a range of options including its Quick Korean course which is designed for those moving beyond the simplest forms of the Korean language. A second option which offers the chance for those who class themselves as intermediate learners of the language could follow millions of others to the Talk to me in Korean website. This site takes the form of a series of podcasts breaking down the structure of the language and discussing the finer points of Korean grammar. This range of options should provide each learner with the best way to learn Korean online with the minimum of fuss and problems. Whether you are looking for the most innovative and easiest ways to learn to speak, write or simply delve into the language a little there is a site available for you. Whichever way you choose to learn Korean the decision is one you will not regret as a community of over 80 million people are waiting to converse with you. Advanced learners can take advantage of the free course offerings of GLASS, a part of the U.S. Department of Defense with courses designed for military personnel to learn Korean and other languages. This is a course designed for those with some knowledge of the language who wish to continue learning and perfect their spoken and written command of Korean.